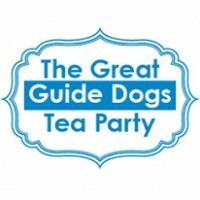 We’re delighted to be supporting the Guide Dogs charity by hosting a special fundraising event, The Great Guide Dogs Tea Party, on Thursday, April 11. 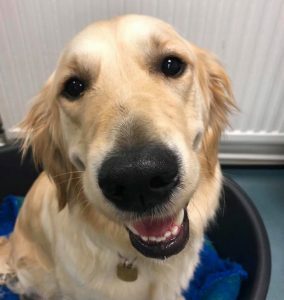 Guide Dogs is the world’s largest breeder and trainer of working dogs and since the charity was set up in 1931 it has helped 29,000 people with sight loss to achieve life-changing independence. At The Great Guide Dogs Tea Party our aim is to raise lots of ‘dough’ for this excellent cause by selling homemade cakes, biscuits and other delicious goodies to our staff, friends, colleagues and neighbouring businesses. We’ll be getting into the party spirit by hanging out the bunting and during the morning of the event we look forward to welcoming a very special visitor. Quantity surveyor Gerard Belfield is currently boarding a dog for 12 weeks whilst it undergoes training with Guide Dogs and he has arranged to bring Lacy into our Birmingham office to meet the team. Lacy off duty and relaxing at home. Thanks to Judith McNally, who is taking the lead – pun intended – by rallying the firm’s bakers, to ensure the table is jam-packed with cakes and sweet treats throughout the day, and co-ordinating all fundraising. Wakemans is a trading name of Wakemans Limited. Registered Office: 11/12 Highfield Road, Edgbaston, Birmingham B15 3EB. Registered in England no. 3507404.